You can look forward to a new premiere "KYTICE" in stage direction and choreography by Petr Zuska which will be presented on 1st May at the Estates Theater in Prague. 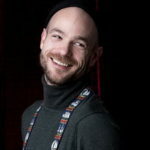 Talented artist Ondřej Brousek composed the symphonic music for the new dance piece. Tickets will be on sale soon! Don´t miss a unique performance in collaboration with Balet Prague Junior on January 9th at 8 pm on the New Stage of the National Theater in Prague. You can look forward to the successful choreography „The World of Daisies“ by Jiří Pokorný and the horror masterpiece „A Glimpse of POEtry“ by Marek Svobodník. Happy New Year 2019 full of health, love, and piece. Thank you for your support! Don´t miss the performance „Requiem for infinity“ on Thursday, December 20th from 7 pm at the large hall of Municipal Library in Prague. Tickets can be purchased at the box office of Municipal Library in Prague or online: www.mlp.cz. Castle Brandýs nad Labem, second on Saturday 28th July from 7pm in the Convent of St. Agnes Monastery in Prague and the last repeat on Sunday 4th August at 8pm in the former Cistercian Monastery in Kutná Hora-Sedlec. Join Prague Summer Dance Course! 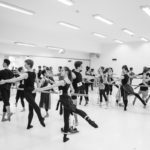 Join the course of classical and contemporary dance with teachers of the Prague Chamber Ballet for non-professional dancers, students, pedagogues. Registration is possible till 15th June on the email: ruttenbacherova@balet-praha.cz Payment information, schedule and detailed information about the pedagogues you can find here. 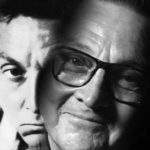 Don´t miss a dark slapstick comedy „A Glimpse of POEtry“ by Marek Svobodník on 6th May at 6pm at Municipal Theatre Zlín (CZ) within TanecValmez. “In the new choreography I am dealing with elements that are in constant independence and exchange and are constantly blending. 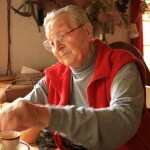 The nature, human beings and their living space.“ Lukáš Timulák is a Slovac dancer and choreographer. A talented artist came out of Kylian’hatchery few years ago. He worked several years for the Netherlands Dance Theater. At the moment, he is working on the choreography „Entwine“, a performance which will be shown for the first time at Vinohrady Theatre Prague on 29 th April. 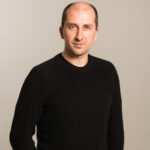 Click here to read the complete interview with Lukáš Timulák. “My inspiration comes through hard work, creative activities and constant exploration”. Jiří Pokorný is one of the most successful Czech dancers and, more recently, also choreographers. He succeeded not only home but also abroad. He has been a member of the Netherlands Dance Theatre for many years. At the moment, he is working on the choreography for Svět Sedmikrásek (The World of Daisies), a performance which will be shown for the first time at Divadlo na Vinohradech (Vinohrady Theatre) on 29th April. Click here to read the complete interview with Jiří Pokorný. 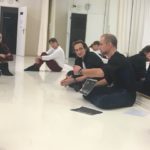 New original choreographies made for the Prague Chamber Ballet are being prepared by Lukáš Timulák and Jiří Pokorný, successful dancers and choreographers of the Netherlands Dans Theatre. The premiere will take place under the kind patronage of Mr Jiří Kilián, the Ambassador of the Kingdom of the Netherlands, Mr Kees J. R. Klompenhouwer and Minister of Culture of Czech Republic Ilja Šmíd, on Sunday 29th April at the Vinohrady Theatre in Prague as a part of the International Dance Day. We are looking for professional dancers with training and education in contemporary and classical dance. Audition take place on Sunday 25th March 2018 at 10am at studio Contemporary in Prague. For more information go here. Repeat of the performance „Requiem of infinity“ in Prague! Do not miss a single repeat of the latest premiere of „Requiem of infinity“ in Prague on February 18th at 7pm at the Vinohrady Theatre. Tickets can be purchased online at www.divadlonavinohradech.com. We look forward to you! We wish you peaceful and merry Christmas and a good New year 2018! Enjoy many dance and theater experiences! The documentary portrait of Pavel Šmok, the founder and long-time artistic director of the Prague Chamber Ballet, will be premiered on December 7th at 7pm at Image Theater in Prague. Within an evening will be also Šmok´s choreographies „On the Overgrown Path“ and a „Wild Dove“ performed. Don´t miss the opportunity to see the last repeat of the successful choreography “Mystery of Time” in Prague! It takes place on 21 November at 8 p.m. at the Ponec Theatre. Tickets available on-line at www.divadloponec.cz. Book your tickets by email at ponec@tanecpraha.eu or by telephone on: +420 724 123 882. This week, the duet Metamorphic will be performed at the Incheon International Festival of Contemporary Dance in Seoul. This unique presentation of Czech dance art will take place on 5 th November at the Dalnuri Theatre in the Bupyeong Art Centre together with the performances of several other international companies. A workshop for students of Korean conservatories led by Linda Svidró will also take place. Keep your fingers crossed for us! The Czech premiere of Requiem for Infinity by the choreographer Tom Rychetský will take place on Sunday 22 nd October 2017 at 7 pm at the Vinohrady Theatre in Prague. In addition to the new production above you can also enjoy two other performances in choreography by Tom Rychetský (Unspoken Silent) and Marek Svobodník (A Glimpse of POEtry). A new contemporary piece choreographed by Martina Hajdyla Lacová Metamorphic” will be presented at the Ponec Theatre on Thursday the 5th October at 8 p.m. 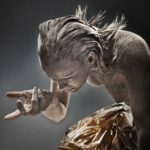 The duet was created under artistic supervision of Andrej Petrovič and draws its inspiration freely from the work of the sculptor August Rodin who shaped his sculptures fascinated by the human being, nature and dance. 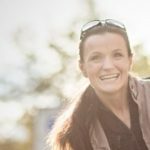 Linda Svidró Schneider took the position of the ballet master of PKB. She has extensive professional experience from Czech Republic, but also from foreign ensembles such as Nederlands Dans Theater II. She will lead training and rehearsals, and will also work as a choreographer assistant. We look forward to new cooperation. Keep her thumbs up! Don´t miss some exceptional performances within the International Music Festival Prague, Classic … The performances takes place on 29.7. and 3.8. at 7:30pm, St.Agnes convent in Prague and 6.8. at 7:30pm in the former Cistercian convent in Kutna Hora-Sedlec. Audition for the position of artistic director of PCB was actually announced. Candidates can apply until 31.8.2017. 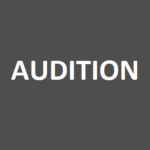 The full text of an audition can be found here. For more information go to: http://bidfeng2017.tlog.kr/. 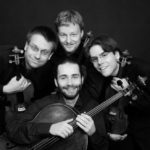 Don´t miss a unique evening of „3 Czech Quartets“ in cooperation with the Zemlinsky Quartet on Sunday, May 21 at 7 pm at the Vinohrady Theatre in Prague. Come and enjoy the choreography of Mário Radačovský, Hana Polanská and Pavel Šmok. Tickets can be purchased at www.divadlonavinohradech.com or www.pragueticketoffice.com. Don´t miss the second repeat of Mystery of Time on 13th May at 20pm at Ponec Theatre! Book your places on time at www.divadloponec.cz. In this year, just as in the previous ones, we will actively participate in and support the International Dance Day. You can join us on Friday 28 April in front of the St. Wenceslas Church in Prague 5 where the choreography of our talented dancers Jitka Tůmová and Patrik Čermák “Chance Encounters” will be performed at 2.45 pm. Come and join us! 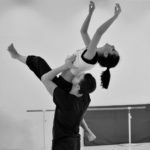 We are looking for professional and creative dancers with training and education in contemporary and classical dance with excellent techniques. Audition take place on Monday 3rd April 2017 at 10am at studio Contemporary in Prague. The first Prague repeat of the successful premiere Mystery of Time will take place on Sunday 5th March at 7pm at Vinohrady Theatre Prague. The original choreographies were created by Hana Polanská Turečková, Marek Svobodník and Ondřej Vinklát. The second repeat will take place on 21st May at 7pm also at Vinohrady Theatre Prague. Who is the most powerful in the world? Love, of course! We prepared a new series of performances – a fairy tale for children and adults “Who is the Most Powerful in the World?”. The first performance starts on the 23 rd February at 10 a.m. in the Theatre Hall of the Municipal Library in Prague. For further information and dates of performances click here. The Prague Chamber Ballet Friends Club is here for you! Are you interested in what is happening behind the scene of one of the most important Czech dance companies? Would you like to book the best seats in the auditorium? Or meet the dancers in person? Become a member of the Prague Chamber Ballet Friends Club and get several advantages at once! The membership can also be a good present for your loved ones! Thank you for your support in 2016. In the new year we wish you health, happiness, extraordinary dance experiences and a lot of positive energy! Stay with us in 2017. Come and spend with us a unique evening filled with dance. Treat yourself to a pleasant last advent Sunday! On 18 th December from 7:00 pm at the Vinohrady Theatre in Prague. You can enjoy the world premiere of the „Mystery of time“ which will present the works of 3 talented Czech choreographers – Hana Polanská Turečková, Marek Svobodník and Ondřej Vinklát. The common motif of all these three artists was the phenomenon of time and they will present their different views on it. All three of them were also inspired by original Czech music such as Miloslav Kabeláč’s symphonies (Mystery of Time), Bedřich Nikodém’s and Jaroslav Ježek’s musical hit songs (A Glimpse of POEtry) and contemporary music by Marek Pavlíček composed for the production titled „Now²“. Take part in a competition – you can win 2 tickets for the ballet production Metaphors of Dance which will take place on Sunday 4 th December at the Ponec Theatre in Prague. If you guess right which of our dancers will perform in the role of “Sabrina” you can win not only the tickets but also a small St.Nicholas Day gift set. Please send your answers to our email address: info@balet-praha.cz. The deadline is 2 nd December,2016. Book or buy your tickets at: www.divadloponec.cz. Don´t miss repeats of performance „3 Czech Quartets“ at Municipality Theatre in Turnov (1.1. ), Municipality Theatre in Znojmo (8.11.) or Slovak National Theatre in Bratislava (9.11.). We also visit the Institut of Culture Mazovia in Warsaw with the creation „This is not a kiss!“ by Žiga Jereb & Anna Štěrbová (19.11.). For reservations or buying tickets go to the website of the organizers. A special evening dedicated to the memory of prof. Pavel Šmok will be held on Sunday, October 23, 2016 at 7 pm at Vinohrady Theatre in Prague. Besides Prague Chamber Ballet other leading Czech and Slovak companies will remember on Master of dance art – Ballet of the National Theatre in Prague, Ballet of National Theatre in Brno and Ballet of Slovak National Theatre in Bratislava. Especially for this year's edition of Golden Prague festival is created a new opus for seven dancers choreographed by Jitka Tůmová and Patrick Čermák called "Random encounters“. Young authors choosed the music of the Italian pianist and composer Ludovico Einaudi. The premiere takes place on October 1st at piazzetta of National Theatre Prague. 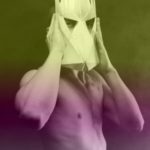 As part of the jubilee of 10th annual dance festival Siraex with international participation in the Castle of Klasterec nad Ohri Prague Chamber Ballet presents creation „Come see comme ça“ on August 19th at 8pm. Tickets available before the beginning of performance. We would like to invite you to the author&#39;s evening of Hana Polanská Turečková, which will be presented on July 19 at 8PM at Studio ALTA. 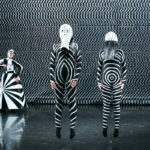 Prague Chamber Ballet will perform the choreography Black Mirror. The evening will be supplemented with the premiere of the author`s choreography “Choreographic exercises I.“. Tickets can be purchased an hour before the show or book via email info@balet-praha.cz. Prague Chamber Ballet symbolically ended successful season 2015/2016 with its last performance of Metaphors of Dance (29/06). During which it prepared the new premiere, travelled abroad for a several times and performed more than 30 successful performances. We would like to thank not only the dancers and everyone who allowed and contributed to this work, but also you – the audience and fans of Prague Chamber Ballet! Do not forget about ballet even during the summer holidays, and please accept our invitation to the author&#39;s evening of Hana Polanská Turečková, where the company will present its choreography Black Mirror – 19th July 2016 at 20:00 in Studio ALTA. Next performance of the company will be held on June 24th at 7pm in Mahenovo Theatre in Brno. 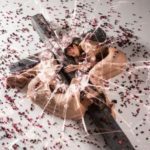 Within the festival Dance Brno 2016 Prague Chamber Ballet will present the latest premiere „Metaphors of Dance“, which handles the topic of human behavior with its bright and dark sides. 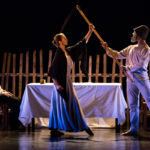 The performance in Brno will be followed by a last farewell to the season by presentation of the same title – Metaphors of Dance in Theatre Ponec on June 29th. Prague Chamber Ballet will present the latest title Metaphors of Dance during its tour in the Slovak Republic. First, on 10th June at the festival „Zámecké hry Zvolenské“ it will perform during open air performance at the castle Zvolen at 9pm. The next performance will be two days later (12th June) in Kosice, in non-traditional concert hall Kasárne / Kulturpark at 7pm. New permanent soloist Leonardo Germani joined the company since 1st May. Leonardo graduated in 2014 at one of the most prestigious ballet academies in Italy – Opus Academy in Florence. Currently, he is intensively studying the repertoire and since the new season the audience will be able to see him on stage alongside other dancers. You can read his CV here. Last performance of Metaphors of Dance in Prague in this season! Let`s join us on Friday, April 29 to celebrate International Dance Day with our company. We have prepared OPENCLASS of modern dance with our soloist Jitka Tůmová (9:30 – 10:45 at studio Contemporary), then we will continue with the OPEN REHEARSAL OF THE REPERTOIRE (11:00 – 12:00 at studio Contemporary). The program will finish during the presentation of choreography THIS IS NOT A KISS! (13:30 – in front of sv. Wenceslas church, Prague 5). All activities are for free! Please make a registration for the openclass via mail: info@balet-praha.cz. The last farewell with the founder and the longtime artistic director of Prague Chamber Ballet prof. Pavel Šmok will be held on Monday, April 11 at 11am at the Ceremonial Hall in Ústí nad Orlicí. With great sorrow and regret we announce that at the age of 88 died a phenomenal choreographer, teacher, director, founder and artistic director of Prague Chamber Ballet, master Pavel Šmok. 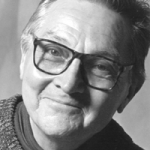 Significant Czech artist who greatly influenced the development of Czech dance, will remain forever in our hearts! R.I.P.